We know the next big thing in mobile technology is 5Gnetwork in which Nokia is already working on alongside T-mobile. But for now, let us rock 4G LTE whose m0bile data standard is 5 times faster than 3G and twice as fast at 3G+. That means the experience of using your smartphone will seem like your phone is faster than you. One of the most annoying thing some of you might likely face is to think that your smartphone is 4G supported only to discover that it is 100% 3G Mobile phone. How Do I know That My Mobile is 4G LTE Supported? 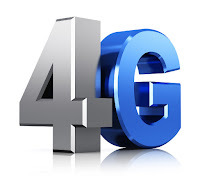 With 4G mobile networks in mind, it’s easy to know if your smartphone supports the standard. On Android smartphones, Blackberry, iPhones and Windows mobile devices. For Android Users, you must insert a Sim to view this, go to settings >> Network settings >> mobile network. It should give you a dropdown menu of mobile standards such as 2G, 3G or LTE (4G). If you don’t see 4G or LTE, then your smartphone doesn’t support the standard. On the iPhone, go to Settings > General > cellular > Enable 4G LTE. On Windows Phone, go to Settings > Celluar + Sim > Highest connection speed and check if LTE is part of the options. Go to settings>>Network and Connection>>Mobile Network>> Network mode and you’ll see 4G&3G&2G. however, if you are using Blackberry Q5 and below, you won’t get 4G network services. Once you’ve selected LTE and you’ve on a 4G network, the “LTE” symbol will appear on the phone status bar replacing either “3G”, “H” or “2G” symbols.